Thanks to the Glen Park Neighborhood History Project for sharing a rich introduction to the history of Diamond Heights. 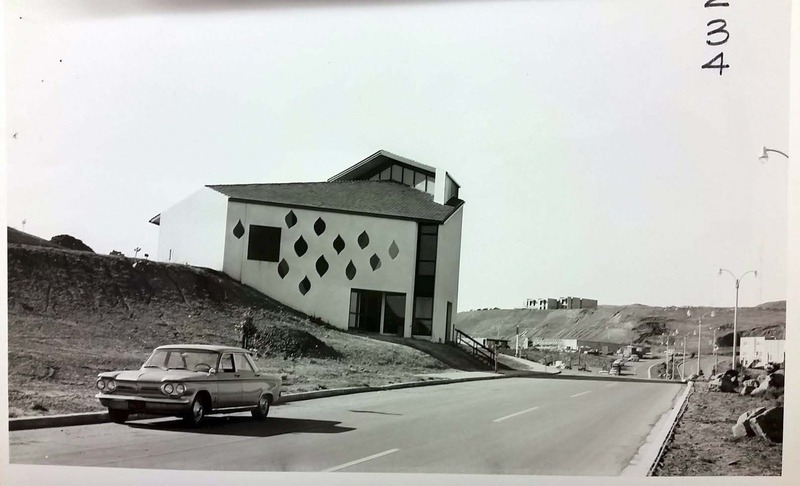 Scroll down for historic photos of Diamond Heights. Note: The photographer stands on what is today the site of Diamond Heights Village looking south across Duncan Street. 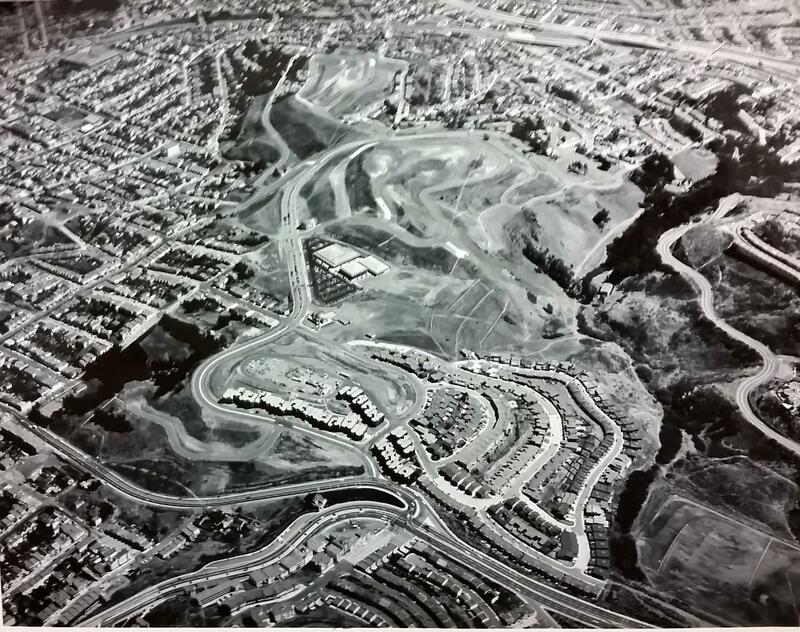 The open expanse in the center is now the site of the Diamond Heights Shopping Center. Saint Nicholas Orthodox Church now stands on the corner of Duncan Street and Diamond Heights Blvd. Courtesy of San Francisco Redevelopment Agency Records, San Francisco History Center, San Francisco Public Library. Note: The photographer stands on the median of Diamond Heights Blvd. near what is today the Vista del Monte Apartments, looking northwest toward St. Aidan’s Church. 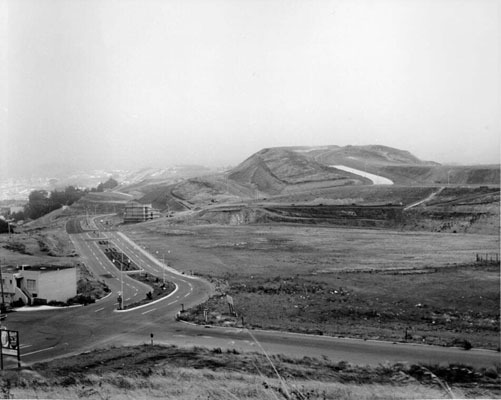 Note: In August of 1965, the Diamond Heights Shopping Center is now visible as three large buildings and a triangle of blacktop at the center of the photograph. O’Shaughnessy Blvd. winds along the top of Glen Canyon on the far right.